China Vision Technology and Application Innovation Summit 2018 (VTAIS 2018) will open in June. [keyword] vision technology and application innovation, international computer vision, Internet computer AI, visual AI, international machine vision technology, Biometric technology. 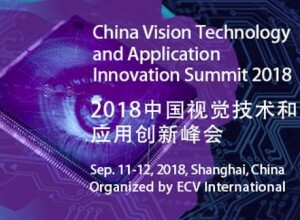 China Vision Technology and Application Innovation Summit 2018 (VTAIS 2018) will be held in Shanghai in September 11-12 organized by ECV International. The summit will gather about 150 experts and senior executives from the world leading companies from vision industry, the discussion will refer to the hardware and software innovation, the future possible applications of the emerging technology. Visual technology is one of the greatest technologies of the twenty-first Century. 80% of the perception of external information is acquired through the eye, and the amount of information contained in the image is huge. With the advent of the 4 era of industry, visual technology has become more and more important. Nowadays, the continuous innovation of computer vision and machine vision technology has promoted the progress of automation industry, intelligent security and artificial intelligence. The development of visual technology has also brought more potential and opportunities for the field that this technology can apply. With the development of computer vision technology is gradually mature, security, video ads, and Internet finance, pan entertainment, medical imaging, industrial manufacturing, wholesale and so on will gradually unlock the computer vision China. It is expected that will further expand the market size, reached 12 billion 240 million , a growth rate of 198.6% in 2018. In 2020, the market size of Chinese computer vision industry will reach 72 billion 500 million. On the other hand, marketsandmarkets also pointed out that the overall machine vision market will reach billion 430 million in 2022. The growth of such a large scale shows that computer vision and machine vision are expanding in the future application field, and the importance of computer vision is constantly increasing. In this context, ECV International invites all relevant leaders to attend this forum and share your experience and ideas in the field of AI. The summit will provide guests with an ideal platform for industrial communication and cooperation. 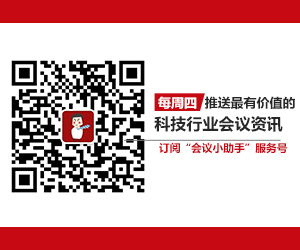 Participants will receive the latest trend of the global market, the latest product and technology information. They can improve their products and brands, find new customers, find the ideal partners, and enhance international cooperation, so as to promote the development of biometrics industry. marketing, retailing and other traditional and emerging technology industries. We have served more than half of the Fortune 2000 companies with 6000+ executives and delegates from top-notch corporations take part in our events each year. Our mission is to provide professional services to connect and inform the stakeholders who would be able to shape the industry landscape in the future and to create more value for our clientele through our efforts to help them seize opportunities, meet challenges and achieve sustainable development on a global basis.